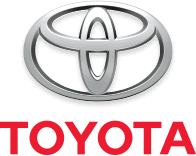 Working to promote a safe driving environment is and always will be one of Toyota's top priorities. Now, we're taking our efforts to the next level. Toyota Safety Sense (TSS) is a comprehensive array of vehicle safety systems, integrating a number of our existing technologies into two available packages: Toyota Safety Sense C, and Toyota Safety Sense P.
Passive Safety: From airbags to seat belts to impact-absorbing body structures that channel impact energy away from the cabin, Toyota vehicles are loaded with passive safety measures. We’ve even specially designed our headrests and driver and front passenger seats to help reduce impact effects such as whiplash.